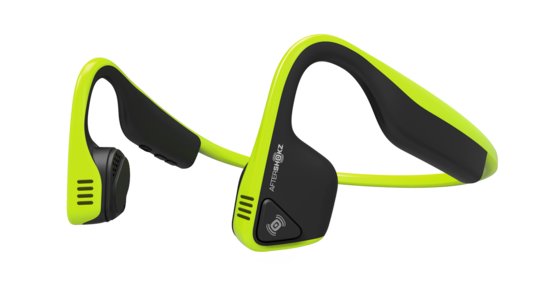 I’ve never been a fan of bone conduction earphones. I always felt that to get good sound, you needed phones that fit over your ears. But that was before I got to test drive the Trekz Titanium headphones at the Aftershokz booth at CES. These are lightweight headphones designed to wrap around the back of your head with the speakers nestled in front of your ears. The sound was crisp and loud enough to cut through the buzz of a noisy convention hall. The headband is extremely light and flexible and so comfortable that I forgot I was wearing it. And, because it left my ears exposed, I could still hear everything that was going on around me. I especially like having my ears out because I want to be a be able to hear approaching cars when I’m booking or walking the dogs in the street because there aren’t many sidewalks in my neighborhood. At $129.99, the Titanium is a little spendy, but it has a lot to offer. You can get a closer look or order a pair at the Aftershokz website.